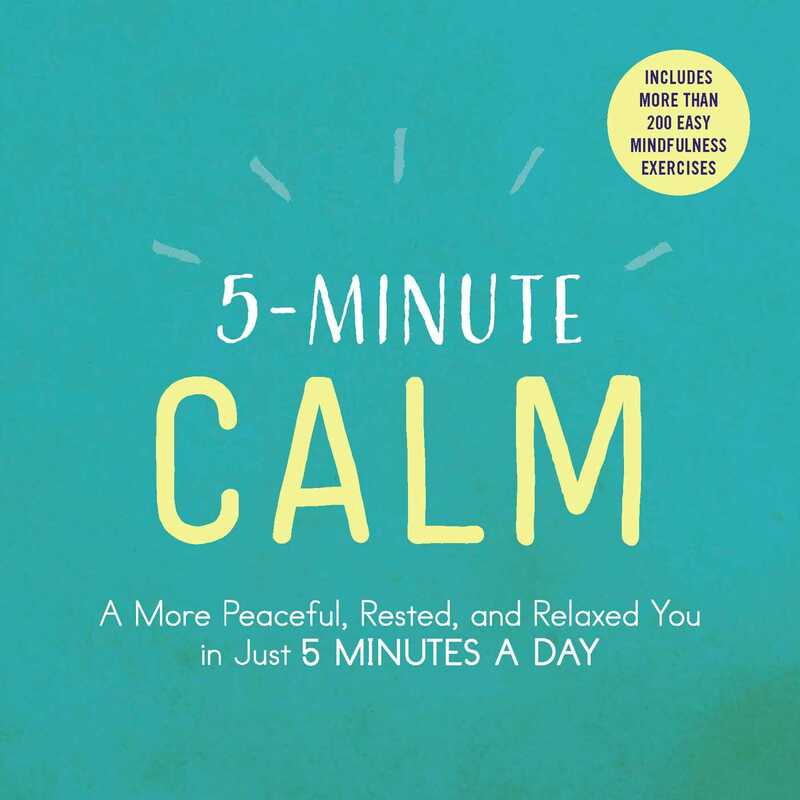 This quick, portable guide features more than 200 practical, effective ways to calm the mind, reduce stress, and erase tension in your body in less than five minutes. In 5-Minute Calm you’ll learn to relax your anxious mind and release tension in your body through quick and easy mindfulness exercises and techniques. Through guided breathing, meditation, visualization, and more, you’ll find a place of calm in just five short minutes. This newfound peace can allow you to reengage with the world in a meaningful, productive way. Whether you’re facing a frazzled morning at home, a hectic day at work, or a daunting project deadline, this on-the-go stress-reducing guide can help you disengage for a few minutes, find a moment of peace, and get back to your day.